After five years long of pondering, the FDA finally gave the green light for a genetically modified Atlantic salmon variety. This is the first food animal that was genetically modified that the FDA approved for human consumption and farming. The salmon has genes from another salmon species, as well as an eel-like fish, which allows it to grow to market size in half the time it would usually take. This means it saves twice as much time and resources as conventional salmon, with no nutritional or health drawbacks, the FDA says. The salmon was engineered by Massachusetts-based AquaBounty Technologies. Initially it was developed as a fast-growing variety by a group of Canadian public university scientists, and regulatory approval was asked for the past two decades. Five years ago, the U.S. Food and Drug Administration deemed the salmon safe. The agency wanted however to ‘get everything right’, said FDA policy analyst Laura Epstein. It makes sense after all, since an unprecedented decision requires unprecedentedly long breath time. The modified Atlantic salmon has a Pacific salmon gene for faster growth and a gene from the eel-like ocean pout that promotes year-round growth. For now, the fish will be grown in two designated land-based and contained hatcheries in Canada and Panama. To furthermore isolate the risk of introducing a GMO animal to the wild, the FDA requires farmers to grow only sterilized females. The FDA has also issued draft guidelines on how food manufacturers could identify whether the salmon in their products are genetically modified. The FDA doesn’t mandate producers, however, to label the salmon based product as genetically modified since it’s virtually indistinguishable from conventional salmon. “The FDA scientists rigorously evaluated extensive data submitted by the manufacturer, AquaBounty Technologies, and other peer-reviewed data, to assess whether AquAdvantage salmon met the criteria for approval established by law; namely, safety and effectiveness. The data demonstrated that the inserted genes remained stable over several generations of fish, that food from the GE salmon is safe to eat by humans and animals, that the genetic engineering is safe for the fish, and the salmon meets the sponsor’s claim about faster growth,” the FDA said in a statement. Consumers and environmental groups are opposed to the decision, however. Food & Water Watch is lobbying Congress members to roll back the FDA approval. 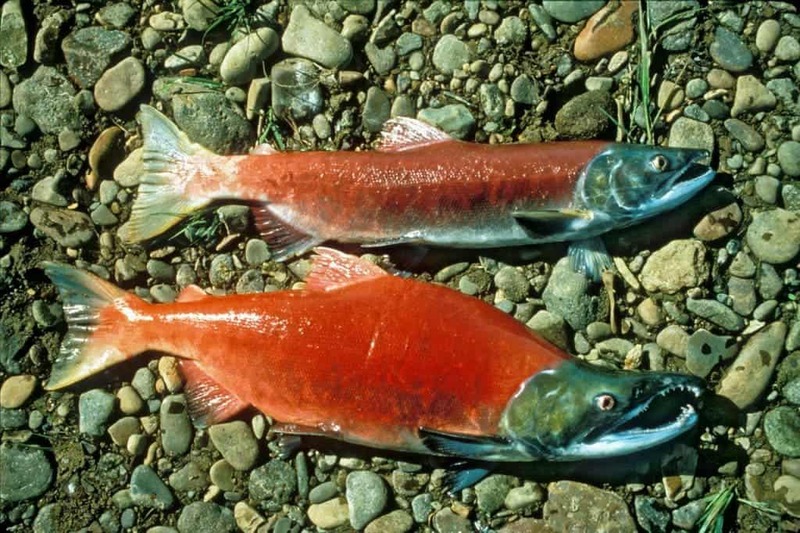 It will also allegedly file a lawsuit, along with other groups, to block the GM salmon from reach the consumer market. That’s if there’s a market in the first place. Already, major retailers across the US have announced that they will not stock GM salmon, including Kroger Co, Trader Joe’s, Whole Foods and Target. In fact, in 2010 Target withdrew farm-raised salmon in favor of wild-caught salmon. At the time, Target spokeswoman Molly Snyder said this was the first step in a long-term commitment to improving the sustainability of our seafood assortment. This statement is far from being rooted in reality, though. Fishing wild salmon may be sustainable if you’re an Inuit with a boat, not a 1,000 tonne salmon harvester. Once a luxury food reserved for special occasions like Christmas and New Year’s Eve, salmon has gradually become available year-round in supermarkets, in large quantities and at reasonable prices. Wild Atlantic salmon stocks in North America, Europe and the Baltic have been over-exploited since the 19th century and in many regions the species has disappeared completely. The salmon isn’t alone. Cod fisheries around the US, and especially in the Gulf of Maine have reached catastrophic levels – only 3% of sustainable levels. In 2010, an University of British Columbia study found fisheries have no more place to expand. Recognizing these sort of issues that threaten our food supply, 80 scientists and biotech industry executives sent a letter to President Barack Obama urging him to support the approval of GM salmon. Again, this is the first GM food animal approved by the FDA. It will, of course, set a precedent, but that doesn’t mean we’ll get to see GM pigs, chicken and cattle too soon. The salmon was approved because the breeding conditions are 100% contamination free.